We love our cars and we love to clean them. But there will always be those particular styling elements that we just can’t seem to get looking like new. Much like the previous new product review on Bucket Washing, Mothers offers a product for almost any detailing and cleaning need. Most new cars today have some form of hard black plastic exterior parts whether it be for styling or cost saving, over the years those plastic parts begin to fade and need a little TLC. 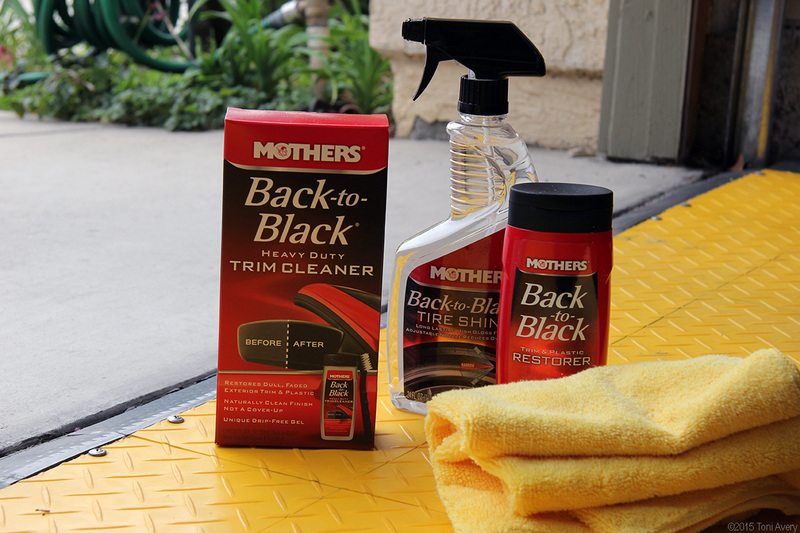 Mothers has the perfect solution for those trim pieces and even your tires with its Back-to-Black product line. 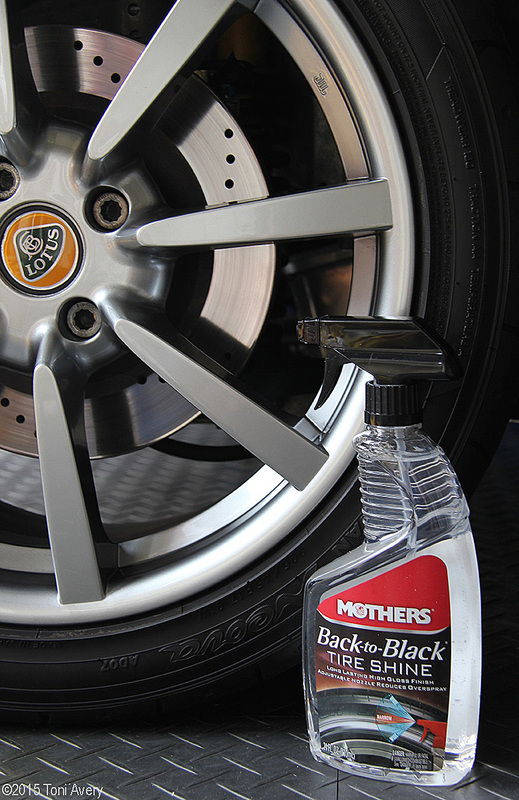 Similar to other tire shine products, Mothers Back-to-Black Tire Shine creates a visible layer of deep black shine to the outer wall of your cars tires. After application, let the product soak for a few minutes then wipe off the excess. Removing the excess is an important step simply because whatever leftover product is on the tire will splatter onto the rims and possibly the paint. This won’t cause any harm to the paint or rims, but it’s best to remove excess while it’s on the tire rather than all over other surfaces. The added benefit of an adjustable nozzle helped to reduce excess spray over the entire rim. While this nozzle adjustment added a bit more precision to the application process, it would have been better served as a gel or cream based product, allowing you to apply with a sponge or waxing pad for less mess overall. 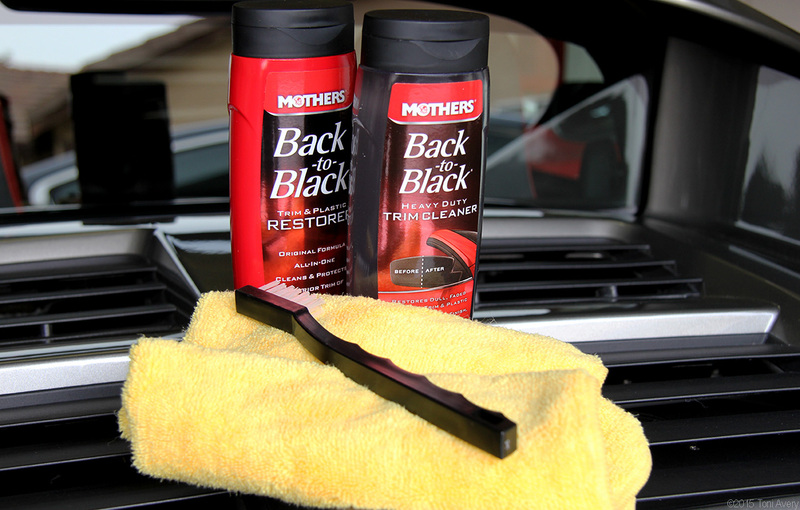 It’s obvious from the before and after photos that Mothers Back-to-Black Tire Shine gives your ride a show car ready look. A good majority of current car owners probably have some black plastic trim or accents on the exterior of their car. If those plastic parts are starting to look more grey than black, this is the perfect product for you. My Lotus Elise has an abundance of black plastic trim on the exterior and due to its age (2005), the black started looking more like dark grey. 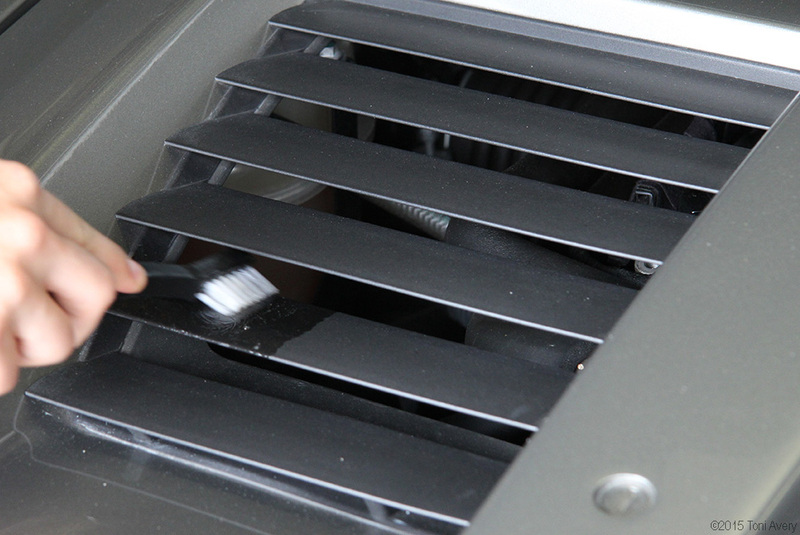 Starting off, begin with a small section of plastic trim and apply the Back-to-Black Heavy Duty Trim Cleaner to the provided brush (away from any paint) and liberally brush the plastic surface. Not allowing the cleaner to dry, wipe off the excess product. Next, take an old rag or even a wax pad and squeeze a small amount of Back-to-Black Heavy Duty Trim Restorer and massage it onto the same area where the trim cleaner was applied. Wipe away the excess on a clean part of the towel. What you should see is a newly restored black (or close to it) finish. I was most impressed with the results of this product simply because all the trim on the Lotus turned from dark grey to black in almost one application. Some areas that had more sun exposure over the years took two or three applications to see results from the Back-to-Black products. Keep in mind that covering your car while parked in the sun will keep the results of Back-to-Black Heavy Duty Trim Cleaner and Restorer longer.